Bertha, the world’s largest tunnelling machine, has been stuck under downtown Seattle since it broke in December 2013. Engineers have had to concoct a massive and expensive rescue plan—essentially a whole construction project in itself. And yesterday, the Bertha’s broken cutter head was finally hoisted out of the Earth. It’s been a long, frustrating 15 months for Seattle. Bertha’s tunnel was supposed to be completed by November of this year to replace an earthquake-prone section of the city’s highway. But just a few months into operation, grit got into the machine’s bearings, causing it to overheat and stop drilling; a mundane problem that brought the entire project to a standstill. 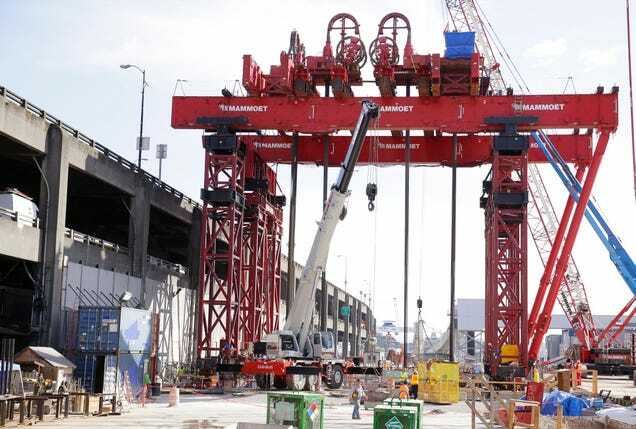 The crane built to hoist Bertha. A worker is perched on the walkway betweens spools of cable sitting at top of the crane. Instead of building a tunnel, engineers now had to build a gigantic crane to lift out Bertha’s broken cutting face for repairs. 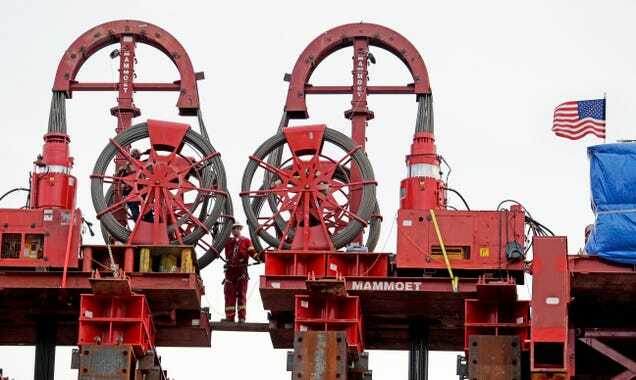 That piece alone weighs 1,800 tonnes . The industrial lifting company Mammoet was tapped to design a custom crane for the rescue operation. Because the area’s soil is so soft, the crane needed special support beams and platforms just to keep it from sinking into the ground. 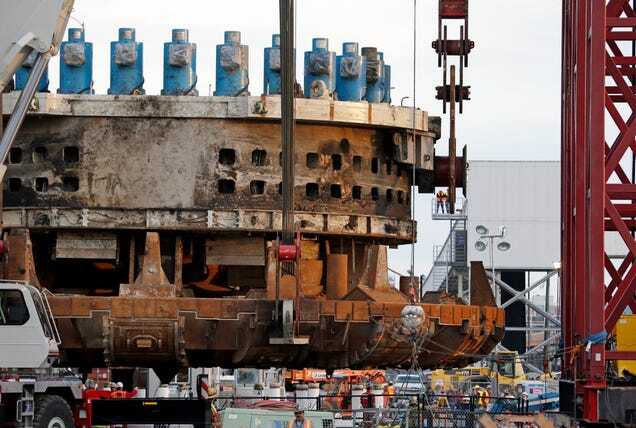 The 1,800-tonne, 5-storey-tall section of Bertha being lifted out of the ground. 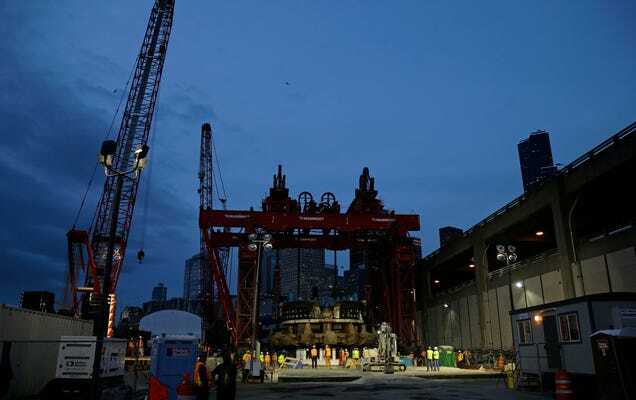 Once Bertha’s cutter head is repaired, the crane will be pressed into service one more time, gently lowering it back into the tunnel. It still start digging again. As of now, the tunnel is supposed to be complete in November 2017 — if nothing else goes wrong, of course.